Firstly I thought I should clarify something. In the 6 years that I took a break from making miniatures, I got interested in other crafts. In that time I've found a lot of tutorials ready for the day I decided to open the site again. I've had an email from someone who was disappointed that the wreath tutorials that I published yesterday weren't miniature. 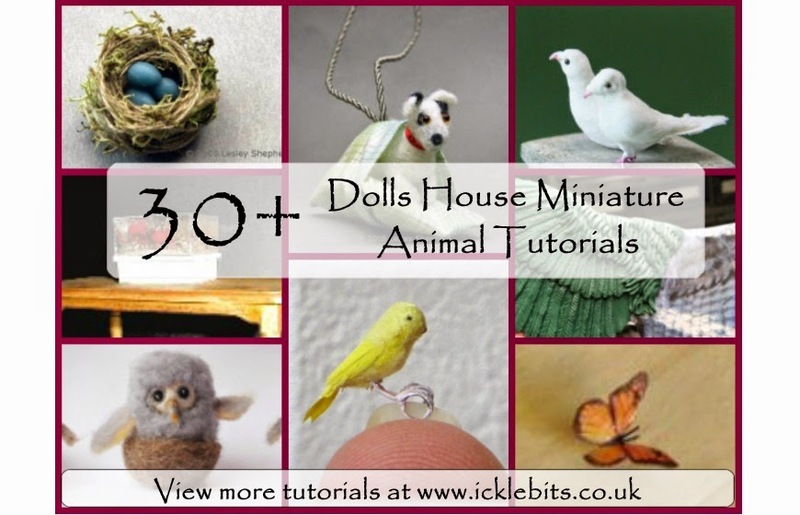 I will alternate the tutorial posts with miniature ones for all the loyal readers from 6 years ago. Don't worry, I've not gone off miniatures!